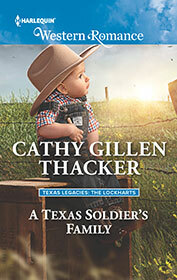 Molly Griffith is ambitious and only wants to give her little boy the opportunities she never had. Which means moving to Dallas, no matter what Chance Lockhart says! 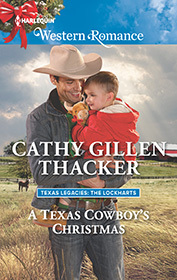 Though being with the handsome rancher does make the idea of small-town life more tempting… Molly has always gotten under Chance's skin, and now that he's bonded with her little tyke, he can't imagine Bullhaven Ranch without them. But the single mom is so focused on her big-city fairy tale, she could miss Chance's offer of the most important gift of all—the love and support of a real family. Wyatt Lockhart is bound to regret moving in with Adelaide Smythe. 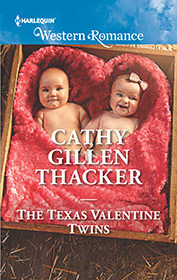 She's broken the Texas rancher's heart before, and their last spontaneous reunion resulted in a couple of surprises—twin babies! Wyatt won't shirk his fatherly duties, but being this close to Adelaide makes it hard to remember why he should stay far away. Adelaide knows she hurt Wyatt, and she's determined never to do it again. Once they figure out how to share parenting duties, she'll give him enough space to keep both their hearts safe. But life together at the Circle H is already growing on her. For the sake of their family's future, can Wyatt forgive Adelaide for the past? Small Texas towns always have their secrets. Fortunately, no one in Laramie knows about Sage Lockhart's friends-with-benefits arrangement with hunky cowboy Nick Monroe. And now Sage wants something more from Nick—something that could change the very nature of their relationship. She wants to have his baby. Nick's always wanted to take things with Sage to the next level. Maybe this wasn't exactly what he had in mind, but having a child with Sage is an adventure Nick can't refuse. Of course, neither of them knew just how complicated things could get. With a baby on the way and all their careful plans unraveling, Sage and Nick must face the one secret they've been hiding from themselves…and from each other. Just the sight of United States Army Lieutenant Zane Lockhart makes nurse Nora Caldwell (and every other woman he meets) weak at the knees. But Nora has to keep a level head this time. As tempting as it is to fall into his finely sculpted arms—again—she's got her beautiful baby boy, Liam, to think of now. She can't settle for some temporary loving. She and her son need, and deserve, more. Zane has always responded to the call of duty. But that dedication has meant saying goodbye to Nora far too often. He can't blame her for doubting that he's finally ready to put her—and Liam—first. 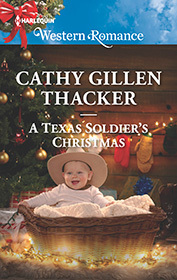 Can the Christmas gift of a lifetime convince her?